Mortgage arrears can put financial pressures on you and your loved ones and they can cause serious issues further down the line if they’re not dealt with in due course. To help, we’ve put together this guide for those struggling to keep up with mortgage repayments, so that you can get your finances back on track as soon as possible. If you’re unsure of whether you’re actually in mortgage arrears, not to worry. In this section, we’ll provide more guidance on what it means to be in ‘mortgage arrears’ and the implications that this can have. You are technically in mortgage arrears if you are behind on your mortgage payments. This is the case no matter whether you’ve missed just one mortgage payment or multiple payments. Whilst missing a mortgage payment may seem like a relatively small issue at first, this can have serious consequences for your finances and personal life if the problem is ignored. Read on to learn more about the wider impact of missing a mortgage payment. Read on to learn about the wider implications that these types of debts can have. If you miss a mortgage payment it’s important to get the issue resolved as soon as possible. Whilst the consequences of missing a mortgage payment aren’t immediate if you continually fail to keep up with your mortgage repayments you could end up losing your home if steps aren’t taken to rectify the issue. Your lender will not look to repossess your home unless all reasonable attempts to resolve the arrears have failed, and you will also receive a reasonable amount of notice if this course of action is being taken. 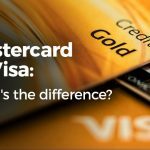 Despite this, if you miss a mortgage payment your credit score will be negatively affected and this will stay on your credit file for 6 years. This can affect your ability to get bank accounts, loans and credit in the future, therefore, it’s crucial that you take to appropriate steps to get out of mortgage arrears as soon as possible. If you’re in mortgage arrears, it may feel like you have nowhere left to turn. However, there are a number of ways that you can get mortgage arrears help if you’re struggling to keep up with your payments. The first thing you should do if you’re about to miss a mortgage payment, or if you’re already in mortgage arrears, is to contact your lender. Contrary to what you may think, your lender wants you to meet your repayments, therefore, notifying them of any issues can help you to reach a solution that suits you both. There are a number of government and charity advice services that you could utilise to get help with your mortgage. Organisations such as Shelter, the Money Advice Service, National Debtline and StepChange offer free, impartial advice to those struggling with different kinds of debt. The mortgage rescue scheme is no longer available in England, however, there are similar schemes available to those living in Scotland or Wales. In Wales, you must approach your local authority if you’re concerned that you and your family may become homeless in order to be eligible for the Mortgage Rescue scheme. In Scotland, you can get mortgage debt help in the form of the Mortgage to Rent scheme and the Mortgage to Shared Equity scheme. Find out more about these schemes on the Scottish government website. Can mortgage arrears be included in an IVA? As mortgages are secured debts, i.e. they are secured against your home, and this means that they cannot be included in an individual voluntary arrangement (IVA). However, this doesn’t mean that an IVA can’t help you if you’re in mortgage arrears. An IVA can help you to reduce the amount you have to pay on your unsecured debts, leaving you in a better position to pay off your mortgage arrears. Starting an IVA will not put your home at risk. 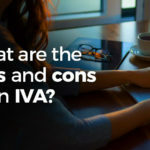 In fact, it can help you to keep your property as your creditors are not allowed to further legal action against you once your IVA is in place. However, as your mortgage isn’t covered by an IVA you will need to make sure that you can keep up with your repayments once your IVA is in place. If not, you could still face repossession. Whilst you can get mortgage arrears advice and support from a range of organisations, it’s ultimately up to you to rethink your finances so that you get out of mortgage arrears and so that you’re able to keep up with your repayments in the future. Read on to discover how to do just that. Our recent survey found that general living costs are the main reason for Brits missing mortgage and rent payments. Whilst there’s not much that can be done about living costs in the UK, you can budget your monthly expenses with the icount prepaid Mastercard®, so that you’re in a better financial position and less likely to miss mortgage payments in the future. With our handy prepaid card and current account, you only spend what you load onto it, therefore, if you’re trying to cut back on certain areas you can use the icount card to restrict your spending. Many Brits also cited unexpected bills as a top reason for getting into mortgage and rent arrears. Building up a rainy day fund can help you to cope with unexpected bills and avoid them causing further financial damage in the future. Even saving your spare change each month and depositing it into your icount current account will put you in a better position to be able to cope with any surprise costs that get thrown your way. How else can icount help you handle your mortgage arrears? There are a number of ways that our current account service can help you with handling your mortgage arrears and improving your financial situation. Read on to see how you could benefit from signing up to an icount current account. There are no credit checks with your icount card application, therefore, you’re guaranteed to be accepted for an icount current account. No matter whether you’ve been left with a poor credit score after entering into mortgage arrears, you’ll still be able to get an icount current account, complete with sort code and account number. You can set up direct debits and standing orders with the icount current account, just as you would be able to with a normal bank account. This allows you to automate your repayments and make sure that your bills and expenses are paid on time, ensuring that you don’t enter into arrears with other service providers. You can apply for an overdraft of up to £250 with icount’s iDraft feature. There are no penalties for entering into your iDraft, therefore, you don’t have to worry about any unexpected overdraft fees. This provides you with a little safety net that can help you find your financial feet whilst dealing with your mortgage arrears. If your credit score has taken a hit as a result of missing a mortgage payment and you’ve been refused a bank account in the past, you can use icount’s Creditbuilder™ feature, which could improve your score. With Creditbuilder™, you are loaned a year’s worth of monthly fees upfront, and if you keep up with your monthly payments we’ll report this to the credit reference agencies which could help you to improve your credit score over time. No homeowner is immune to mortgage issues and it’s important to remember that you’re not alone when it comes to these problems. If you’re struggling to keep up with your mortgage payments, don’t panic. Take the right steps to rebuild your finances, get impartial advice from the experts and you’ll have everything you need to get your finances on the right track. Read our other money guides for more information on how to achieve financial freedom.